But when summer rolls around and the temperatures climb, a steaming cup of joe in the afternoon just doesn’t sound so appetizing. Enter: the chilly, energizing nectar that is iced coffee. Camping afternoons can get hot and muggy, to the point where it feels like the only solution is running full speed into a frozen alpine lake. Iced coffee is our summer go-to in the coffee shop drive thru, and it isn’t very hard to recreate the afternoon treat at the campground. Cool down on a summer afternoon with these three iced coffee methods - diving into a frigid mountain lake not required (but never discouraged). This is the old school iced coffee method. Add coffee grounds to a French Press like our Javapress, making the coffee stronger than you usually would (about three tablespoons per 6oz water). Boil your water and pour over the coffee to brew. If you like sugar, add it now while the coffee is hot for better melting and stir. Press the plunger down to separate the grounds, and let coffee cool down to room temperature. Fill your glass to the brim with ice, then pour the coffee over the ice (the ice will melt and dilute the strong coffee). Top off with more ice if needed, then add a splash of cream for an easy campsite cool down. Baristas argue cold brew is the real way to enjoy iced coffee - and we know not to argue with baristas. Cold brew concentrate needs to be brewed overnight, but the wait is worth it. Add one cup of ground coffee to a Microlite 1000 Twist and top off with cold water - the colder the better. Mix and let sit for at least 12 hours for the brewing process to complete. Strain with an Ultralight Java Drip or Collapsible Java Drip and coffee filter. Store this cold concentrate in the cooler and enjoy one part cold brew concentrate to three parts milk over ice. Good things come to those who plan their cold brew needs in advance. 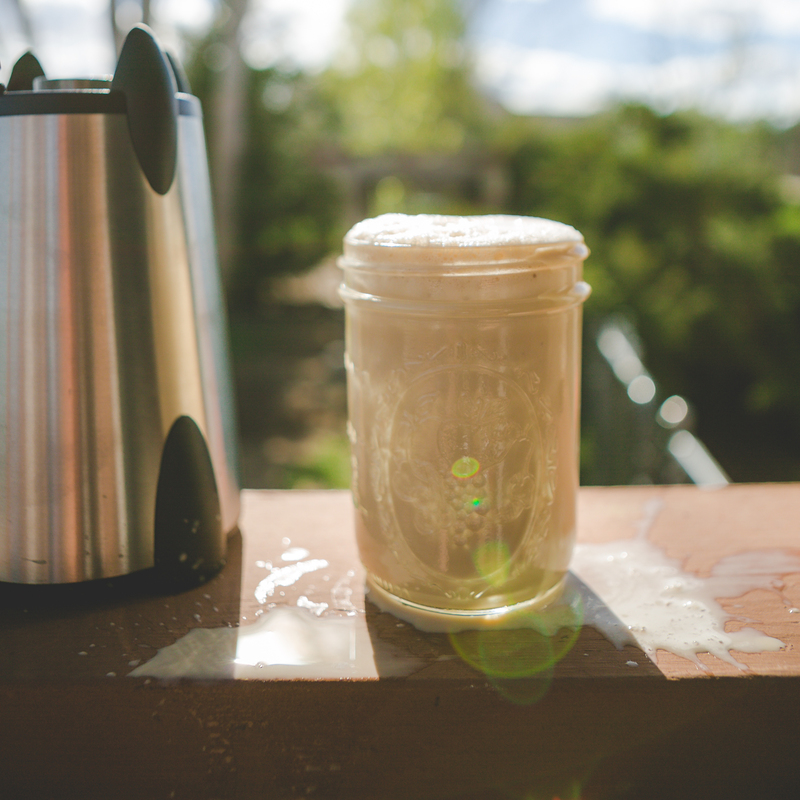 If iced coffee by the lake isn’t quite fancy enough for you, take it up a notch with a blended frappe. For two cold frappes, add 1.5 cups double strength coffee or 1.5 cups cold brew concentrate to a Vortex Blender. Add half a cup of milk and at least a cup of ice. Blend until coarse and then add sugar or syrup if desired. Blend until the frappe is smooth, adding ice if the drink is too watery. Top with a spritz of whipped cream if you like and enjoy with a metal straw (saving the planet is just as cool as drinking frappes by the campfire). If you’re car camping with the family or heading for a day by the river, don’t sacrifice your ice cold caffeination. All you need is a cooler and some patience for the perfect iced brew wherever your adventure takes you. Some might call it coffee snobbery, but we call it genius. Stay cool, you coffee genius.